A revised report from Counterpoint states that HMD Global has sold 4.4 million smartphones in Q4 2017. Counterpoint analyst, Neil Shah, took to Twitter to share that the 1% market share of Nokia puts it just outside the Top 10. 2018 H2 & 1H2019 would need a focused strategy for operator-centric markets in LATAM to challenge Moto & Samsung. The 4.4 million figure puts Nokia at the 11th position in the list of companies with highest market share. This also means that Nokia sold more phones in the last quarter than a lot of other popular brands. Some of the companies that sold lesser smartphones that Nokia are — Google, HTC, Sony, Alcatel, Lenovo, OnePlus, Gionee, Meizu, Coolpad and Asus. Q4 2017 Global Rankings & Share from #0 & 0% a year ago.. In one of his Tweets, Neil states that Nokia is at number three in the UK for Q4 and among the top five in Russia, Vietnam and many Middle Eastern markets. Considering that Nokia is just an year old in the market, it’s a decent resurgence. Not just smartphones, but Nokia’s feature phone numbers have seen a rise as well. The company has become the leader in the segment by selling 20.7 million units, according to another Counterpoint report. Furthermore, Nokia captured the sixth spot in overall phone sale (smartphone + feature phone) with 5% of market share. To recall, the Nokia 6 was launched in India way back in June 2017 along with the Nokia 5 and Nokia 3. 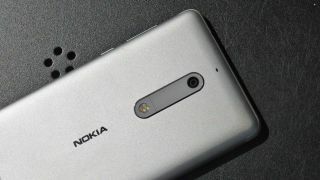 The three phones from HMD Global were followed by the Nokia 8 and Nokia 2, which were released later that year.